Forty-five kilometers south of Nkhata Bay Township is another group, Kajula Village, which is also supported by Africa Bags. 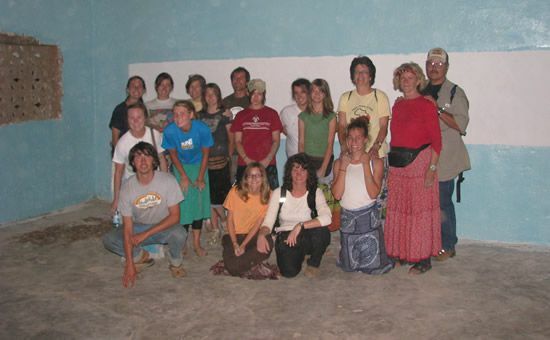 Kajula Village, initially called Chintheche, joined the project and began production of Africa Bags in July of 2007. Chintheche began with eight registered members composed of both males and females. Members are from a cross-section of seven villages around the Chintheche area in the the township of Malanda. Some members of the group travel up to ten kilometers to participate in the Africa Bags project. 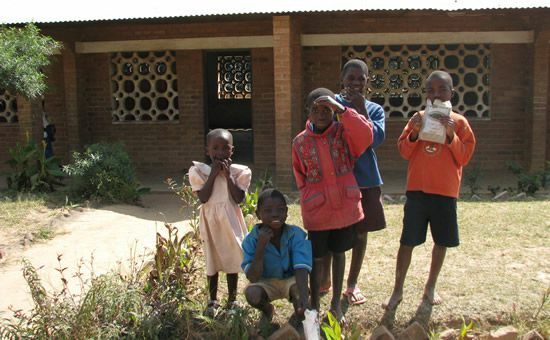 The Chintheche village has decided to save 20% of its earnings from the Africa Bags project. It hopes to use this money in other community development projects. 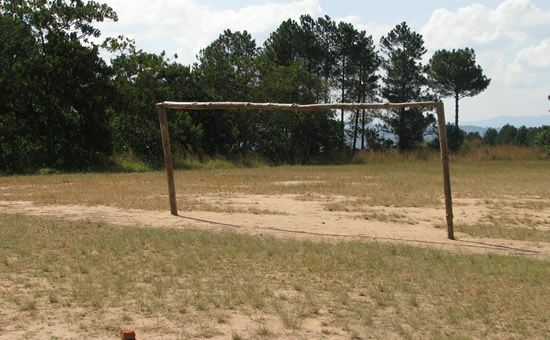 It is also using some of its earnings to support orphaned children and elderly people in the area. 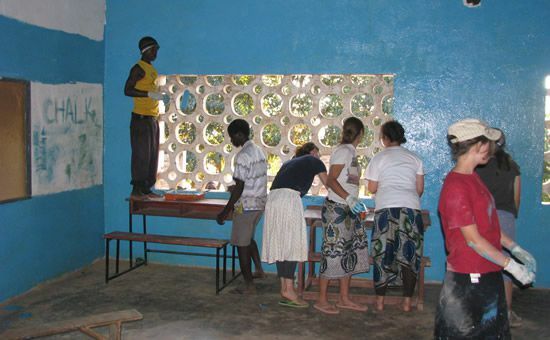 The Chintheche group was having a difficult time finding a large enough place for the production of Africa Bags. It was decided that they would move the group outside of the main town and build a sewing center. Kamweko Village, Viweme Village and the Chibanzi group are all contributing to the construction of the sewing center in Chintheche. Like John, many of the original members from the Chintheche sewing group have started their own businesses with the profits from their bag sales. These members have left the group and are now independent of Africa Bags and thriving with their new businesses. 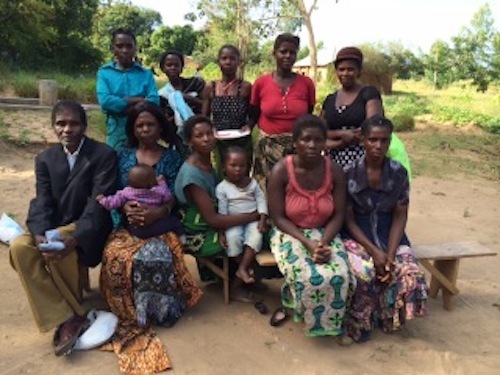 During our most recent visit to Malawi, we reorganized our sewing group in Chintheche. We recruited new members and completed the group relocation from the township of Malanda, where they used to meet, to the village of Kajula, outside the main town. The group now consists of ten members. 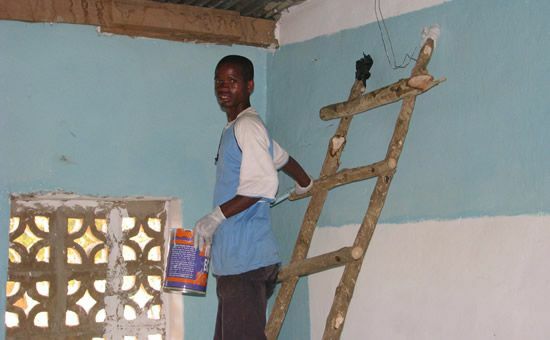 We are currently adding cement flooring, doors, and windows to complete the Community Development Center in Kajula Village to provide our group with a new home to construct Africa Bags within! Also during our most recent visit, we introduced a brand new Africa Bag to Chintheche village. The group has begun training on their new bag, the Nyasa Africa Bag.